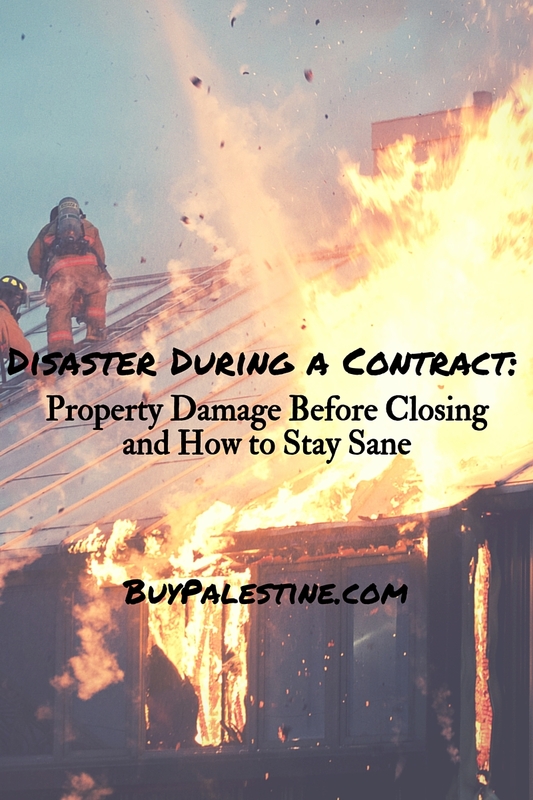 What happens if you are in the middle of a purchase (or a sale, if you’re the seller) and the house catches on fire, a tree falls on it, the whole house floods or some other horrifying damage is done? Luckily, this is not a common occurrence. No matter which side of the transaction you are on, you’ll probably want to scream (or maybe cry) into your pillow for a bit. I wouldn’t hold it against you. However, once the tears dry and your throat is sore from the cursing, it’s time for action. In a nutshell, the seller is responsible to repair damages back to the condition of the day the buyer agreed to buy. The Texas Real Estate Commission’s 1-4 Family Residential Resale Contract covers many issues that may arise during a contract period—and casualty loss is one of them. Paragraph 14 of the contract is one of those that you hope never comes into play. It’s a relatively short paragraph, but it plainly states the options. Screen shot of the Casualty Loss Paragraph in TREC’s 1-4 Family Residential Resale Contract. terminate the contract and earnest money will be refunded to buyer. extend closing date to allow reasonable time for repairs. move forward with purchase in it’s damaged condition with assignment of insurance proceeds and a credit for the deductible from the seller at closing. Basically, when disaster strikes, it’s time to get in gear fast. Insurance may cover the loss, but the insurance company isn’t there to help clean up 2” of standing water throughout your house or to scrub soot off the ceiling. Once the disaster is over and all is safe, it’s time to start damage control. Depending on the type of disaster, you need to call whichever professional is needed (whether it be a fire/water restoration company, plumber, etc.) to limit any further damage. Then call the insurance company and get the claim process going. Once the insurance adjuster is out, repairs should start fairly quickly, but time is critical once damage is discovered. Once known, fill in the other party so they can be aware of the situation. No disaster is a good surprise, but being on the other end of the transaction and finding out while doing a driveby to “house stalk” is another disaster unto itself. Lisa E. Priest only likes a fire if it is related to s’mores and is a local REALTOR® and Property Manager with Picket Fence Realty, Inc. You can reach her via phone or text at 903-948-3343 or at BuyPalestine.com.